With the borders of Touraine and High Poitou, between the Loire château and the Romanesque art of Poitou, of the distance passed except for Futuroscope very, take time to discover all these wonders! Is the Castle of la Motte, of very easy access, an ideal stage, that it is for a few days of unforgettable relaxation or quite simply for a halt on the way of your holidays or, why not? during a displacement of businesses. 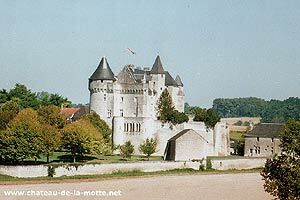 Casteland.com particularly thanks the owners for the castle of the Motte of Usseau for the texts and the photographs.